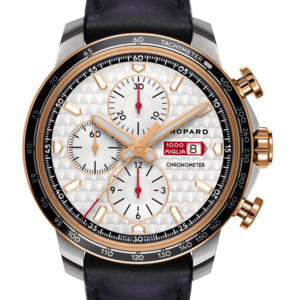 This elegant men’s watch from Chopard features a 45mm case which contains a black index dial along with 3 sub-dials. 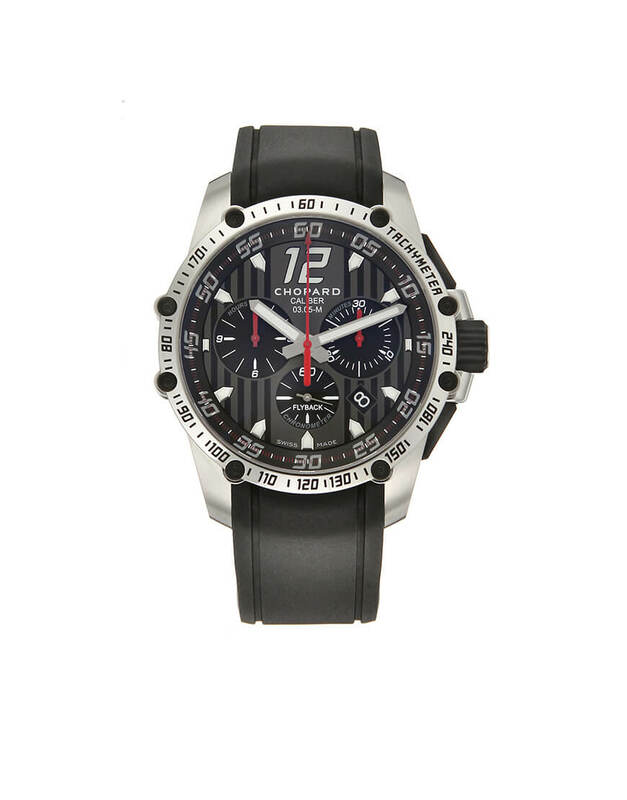 It has a tachymeter, a 60-seconds counter, a 30-minutes counter, and a 12-hour counter. It uses a black rubber bracelet with a folding clasp buckle.